Starting off the next chapter of our match in the week series, we take a look back at the best matches at Survivor Series that aren't traditional Survivor Series matches. Today, I wanted to start with a gem, Batista vs The Undertaker in the Hell In A Cell match for the World Heavyweight Championship. Building up to the match, there were big implications at stake and their year long feud would finally culminate at one of the big 4 PPVs. Who would leave the Cell victorious? We start out with both men going back and forth. Undertaker attempts the first pin and then begins to take control. Undertaker would attempt to bring in a chair but Batista spears Him. Batista attempts to use the same chair but Taker counters him. Undertaker would take the battle outside of the ring and take control of the match again. Undertaker would dominate until Batista counters Old School. Batista would then start a small rally and start ramming the Undertaker into the cell but Undertaker would counter and bust Batista open. Undertaker would then attempt old school but Batista would counter once again. Next, Batista would bust the Undertaker open. 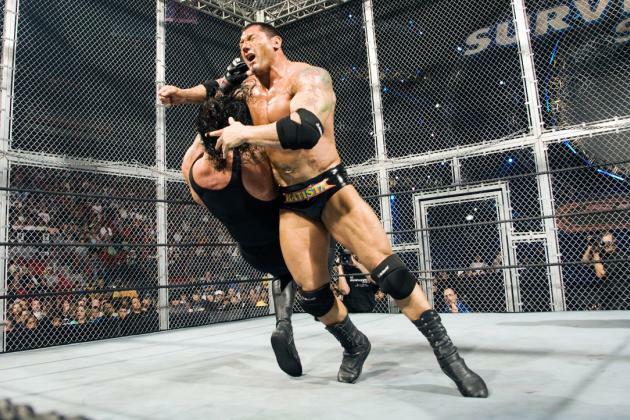 Batista would attempt to hit punches while Taker was in the corner but Taker would counter with the Last Ride. Batista would again take control and hit the Undertaker with the spinebuster twice. Batista would then bring a table into the match and uses it against The Undertaker. Then, Undertaker would rally and perform a tombstone on Batista who would surprisingly kick out. Undertaker would then tombstone Batista on the steel steps and seem to be near victory. Edge would then interfere and cost the Undertaker the match, allowing Batista to retain and beginning the next chapter. -Undertaker drives Batista’s throat into a chair. -Batista counters Old School into a spinebuster. 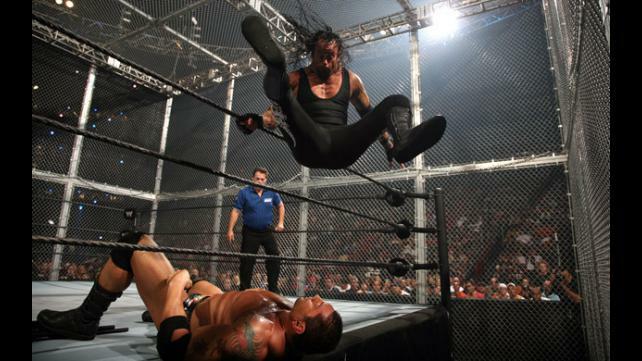 -Batista would ram the steel steps into the Undertaker's head 4 times. -Batista hits the Batista Bomb through the table. -Undertaker counters a Batista Bomb and Batista lands on the steel steps. Batista is the only man to have defeated the two men who have dominated this match in Undertaker and Triple H. Batista is also the only man to walk in as world champ at multiple Hell In A Cell matches and leave with the title still in tact. This was as physical as it gets. 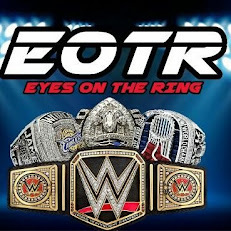 JBl and Michael Cole added to this with great commentary. I thought both men performed very well. This match was relatively short considering but with that Survivor Series card being as stacked as it was I get it. Edge interfering added to this great story and left us with a cliff hanger and more questions than answers. I thought Batista did a fantastic job letting Undertaker lead the match and Undertaker as usual gave us a superb performance. A little more brutality wouldn’t have hurt though, but overall this was really solid. undertaker was the first ever wrestler I knew when I was young and have always heard of his great performance. here again he showed some of his great skill . thumbs up!